Ever wondered what goes on during the mounting of an exhibition? You’re not the only one. That’s why PIPA Prize produces every year a video registering the mounting of the Finalists’ Exhibition at MAM-Rio. In this edition of the Prize, finalists are Antonio Obá, Bárbara Wagner, Carla Guagliardi and Éder Oliveira. 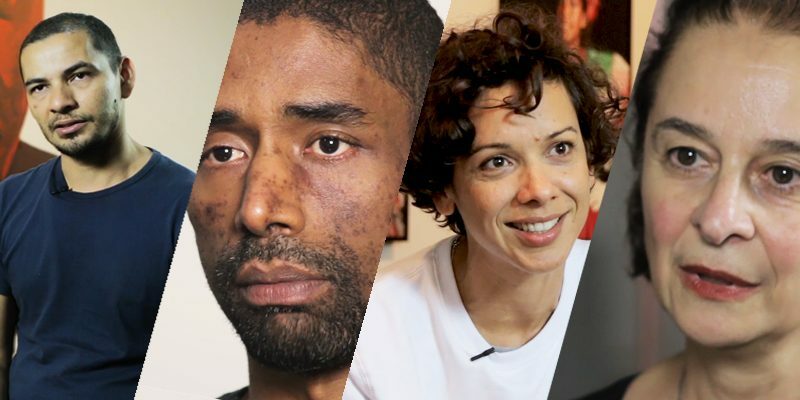 Watch as they explain the works they have decided to showcase in the exhibition, as well as their artistic trajectories so far, in a film produced by Do Rio Filmes exclusively for PIPA Prize. (Porto, Portugal) Daniel Steegman Mangrané gets a lot of inspiration from the ways nature organizes and structures itself. For “Uma folha transparente no lugar da boca” [“A transparent leaf in place of the mouth”], solo show he opened at Serralves Museum last week, the PIPA Prize 2014 Finalist conceived a living landscape in the museum building’s central room, exploring the relationship between natural and artificial environments.